This morning the BBC is publishing a review of its engagement as a public service broadcaster with religion. I warmly welcome the report and the way the review was conducted, but also have one or two questions – I will return to these later. We believe that the plans we have set out will build on this to deliver an even more profound approach. They will ensure that the BBC better reflects the UK, the world, and the role that religion plays in everyday life. They will also raise understanding of the impact religion has on decisions made at home and abroad. This goes to the heart of the matter. Religious broadcasting is not about proselytism or evangelism. It is about enabling people to understand the world and why it is the way it is. As the report notes, almost 85% of the world’s population has a religious faith, worldview or culture – and they derive their motivations, comprehensions and assumptions about human beings, human behaviour, place in the world, and social order from the lens through which they look. My questions are the usual ones: who, when, how and how much. In other words, when will we see the plan that clarifies who is responsible for establishing clear means to achieve these important aims, what are the timelines for delivery, and how much resource will be committed to making sure the promises are realised? This is the text of an article requested this morning by the Yorkshire Post in relation to the decision by cinema advertising bodies not to show an advert about the Lord's Prayer in their cinemas before Christmas this year. The decision has provoked a spat in the media and on social media – some of it even polite. If you don't pray, then you are almost certainly in a small minority of people on the planet. Even people who claim no faith seem to admit to praying in certain circumstances. The fact is: people pray. Billions of people across the globe pray the Lord's Prayer every day. For some Christians in some parts of the Middle East and Africa, the utterance of this prayer can amount to a death sentence. Yet, it is a prayer I have seen uttered by those committed to other faiths, but who see in this prayer – taught to his friends by Jesus – a fundamental recognition of human being, human need, and the realities of human experience. We are not God, but we live in relation to God; we have daily physical needs and we get tempted to go the wrong way; if we don't forgive those who wrong us, then how on earth do we expect to be forgiven and reconciled by God and others? In the Christian tradition prayer is not about presenting shopping lists of requests to a god whose job it is to make life comfortable, convenient or secure for us. Rather, prayer is that exercise that, bringing us into the presence of God, gradually exposes us to the mind of God towards ourselves and the world where we are. Inevitably, this then exposes us to the need to change so that we gradually see God, the world and ourselves through God's eyes. Prayer is open for anyone. Prayer invites us to be open and honest with God and one another – to tell the truth about our fears and anxieties as well as about the things that make us scream with joy. It's like being stripped back so that we see as we are seen. So, why do the cinema people think prayer is so dangerous? And who exactly is going to be offended by a one-minute advert that consists of a pile of people saying a phrase of the Lord's Prayer in sequence? No propaganda. No coercion. No pressure. Just an encouraging invitation. What is the problem? Well, the problem is basically the illiteracy of a liberal culture that thinks itself to be intellectually mature and culturally sound. This culture assumes (I choose the word carefully) that secular humanism is neutral – and self-evidently 'true' – and that, by definition, any religious world view is somewhere up the scale of irrational and loaded madness. A five year old child could demolish that one. There is no neutral space. Secondly, as an irrational reflex, religion gets widely connected inextricably with 'problem', 'trouble' or 'conflict'. Therefore, it has to be neutralised. The five year old would be on a roll by now. Just this morning a Muslim tweeted that, rather than ignoring Remembrance Day and the poppy appeal, his group had actually raised more than £400,000 for the Royal British Legion this month. Has anyone actually asked who might be offended by this and why? This phenomenon has echoes in seasonal appeals to empty Christmas of its name. Thirdly, this religious illiteracy goes deep. Last week the Daily Telegraph reported on the debates that nearly saw the word 'Abbey' removed from 'Downton'. It seems that there was no reference to church (although, for good or ill, church would have been an integral part of the life of those characters), and we never got to see them sit down for a meal because that would have meant seeing them say grace. Really. There is still time for the people who run the cinema chains to change their mind. They might even invite a conversation about reality 'out there' in the world. But, even if they don't, they have exposed yet again the intellectual and cultural redundancy of a dominant knee-jerk assumption about religion and the world. It would be funny if it weren't so common. I chair a media trust that goes by the name of Sandford St Martin. We reward excellence in religious broadcasting and advocate for the same in a range of different ways. One of the most important decisions to be made in the UK in the next year or so will be about the future of the BBC as its Charter is renewed. The Sandford St Martin Trust submission to the BBC Charter Renewal consultation can be read in full here and focuses particularly on the public service remit, seeing religious broadcasting as a touchstone of how this remit is fulfilled. The Trust's submisison can be read here. 3. Why is there no BBC news religion editor to complement the science, economics, business, political, financial, arts and sports editors? This is not about special pleading by religious interest groups. At a time when it is impossible to understand the modern world – its politics, economics, military and humanitarian events – without understanding religion, why is religion not being prioritised as needing expert interpretation in the public and broadcast sphere? You don’t have to have a religious bone in your body to see the need for this sort of exploration and interpretation in the media. Whether personally religious or not, religion cannot be avoided by any serious observer as a serious factor in shaping – for good or ill – the actions and motivations of people and communities. It was reported last week that the BBC is to move current Defence Correspondent Caroline Wyatt to Religion, replacing Robert Pigott who has held the post for a decade. Given Wyatt's heavyweight role in Defence since 2007, this is seen as a beefing up of the religion brief. Some of us have argued for years that the BBC should appoint a Religion Editor – recognising the importance of religion as a factor in the world and how we understand it. This seems like a re-beefing up of the 'correspondent' role and goes some way to meeting the need. Ironic, then, that it was also reported this week that the Times is to get rid of the Religion Correspondent role that has been occupied so successfully for 25 years by Ruth Gledhill. This means that no English newspaper has a journalist dedicated to covering religion as a specialism. 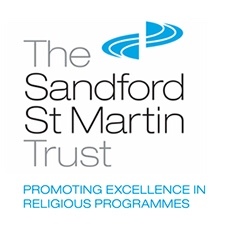 This is the context in which the Sandford St Martin Trust – which I chair – is changing. During the last year we have conducted a detailed strategy review and clarified that we wish not only to 'promote excellence in religious broadcasting', but also 'to advocate for' it. To this end we are changing the way we operate and will shortly be advertising for a part-time Executive Secretary to help us run the trust and develop our ambitions. 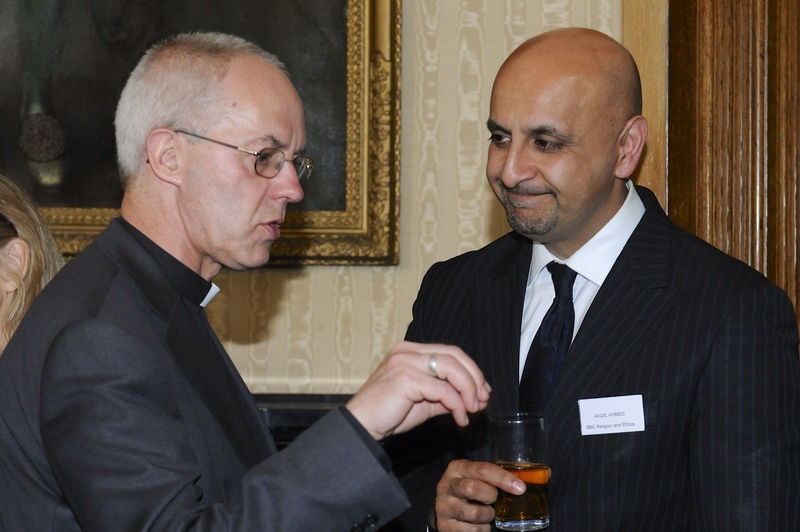 The Trust gives prestigious awards each year, presented at a ceremony at Lambeth Palace and with judging panels chaired by people who know their stuff. We have been developing our year-long presence, especially through good work in social media and a new website, but our ambitions go well beyond this to both stimulate and engage in debate on religious broadcasting. More will become clear as plans are developed. However, the point is that the religious broadcasting drum will continue to be banged – but more smartly as we invest in making a difference. Sometimes I (and others) feel like we are banging a drum that just irritates people who have an ideological reason for not wanting to listen to any critique of religious illiteracy. If you tried to make The Life of Brian today it would fall flat on its face because the vast majority of the audience would not get most of the jokes. They don’t have the knowledge,” Ahmed said. He questioned whether modern audiences would appreciate that the “great joke about the Sermon on the Mount” in the 1979 Python film, where a woman asks “What’s so special about the cheesemakers?”, was a reference to Jesus’s words “Blessed are the peacemakers” from the Bible. Good on you, Aaqil. Hopefully, you will be listened to.